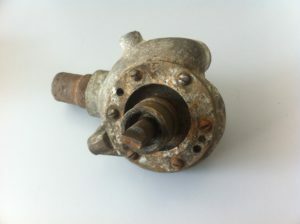 Pre-War Car Parts Ltd, specialists in Bentley, Invicta & Lagonda car preparation and component supply, have customers requiring new water pumps for 2L and 3L pre-war Lagondas. Wear and tear, corrosion and seizure has used up the original supply. The brief for Performance Projects was clear: to design replacement Lagonda water pump assemblies that look and perform exactly like the original units, but which allow owners to enjoy their cars without the durability & maintenance issues of the original units. 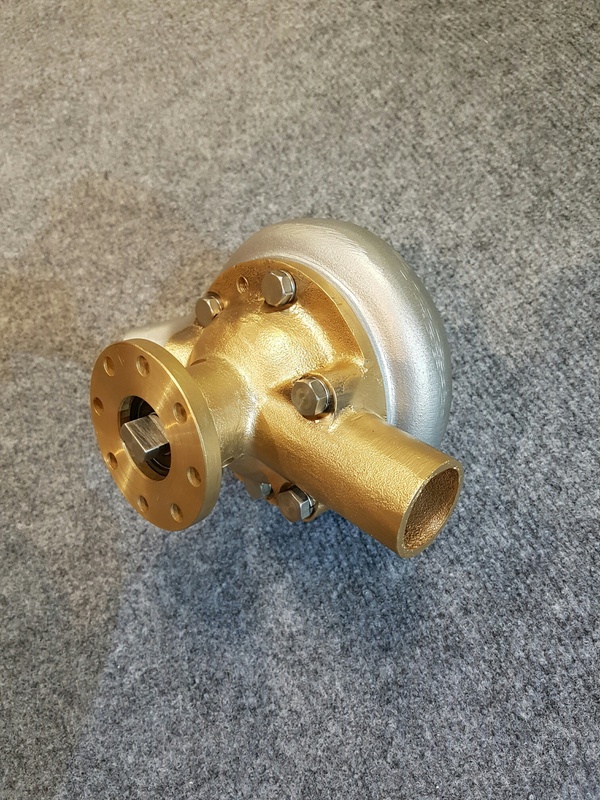 The solution was to design a pump that uses a body, cover and impeller derived from the original castings, but with a new shaft, seal and bearing pack arrangement to reduce leakage and improve durability. The original water seal, in common with many cars of this era, utilises a carbon-impregnated string. The leakage (even in a well prepared original water pump unit) results in visible staining, coolant loss, lower confidence in the engine preparation as a whole and potential pump seizure when left for extended periods. 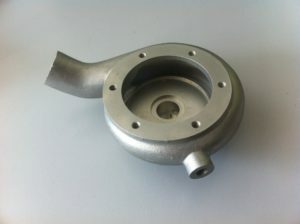 The replacement Pre-War Car Parts Ltd pumps utilises a modern mechanical seal virtually eliminates coolant loss. The original water pumps use a greased plain bearing arrangement, with one bearing located within the coolant filled side of the water pump. 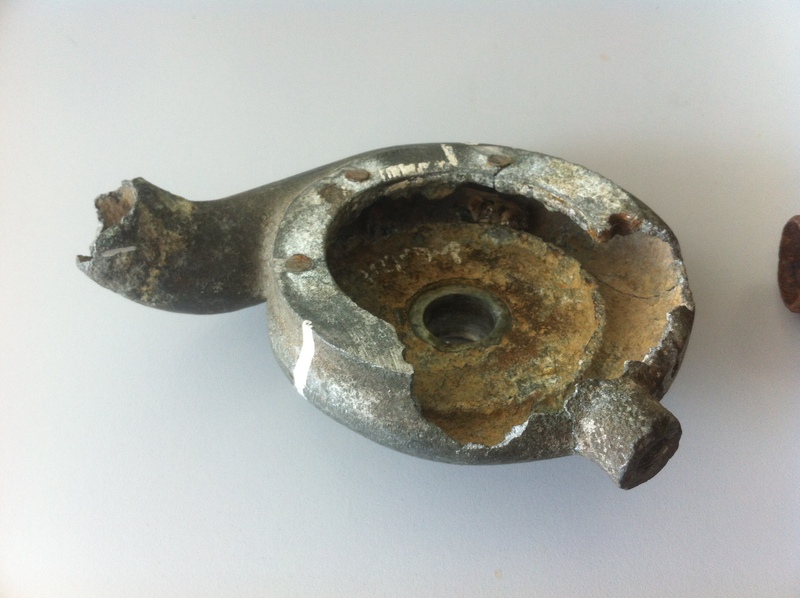 A bearing running within coolant which contains unknown debris and additives, as well as the inherent corrosion problems when left stationary for long periods, is not ideal for durability. The revised pumps utilise a pair of larger diameter ‘sealed for life’ rolling element bearings, both positioned on the dry side of the body and designed to run without issue throughout the life of the engine. The bearings now support a stainless steel impellor shaft (rather than the original ferrous steel item), again giving corrosion resistance and durability throughout the engine life. Supply of comprehensive computer models and drawings in electronic format (rather than machining manually from drawings alone) enabled quotation and supply from the widest range of high quality, cost effective manufacturers, and offset the cost of the design work. Through using Performance Projects’ trusted and proven design services, marque specialist Pre-War Car Parts Ltd were able to fulfil customer demand for high quality Lagonda water pumps. Performance Projects undertakes design and engineering programmes for the motorsport, niche vehicle and historic markets. Contact us here to see how we can help.